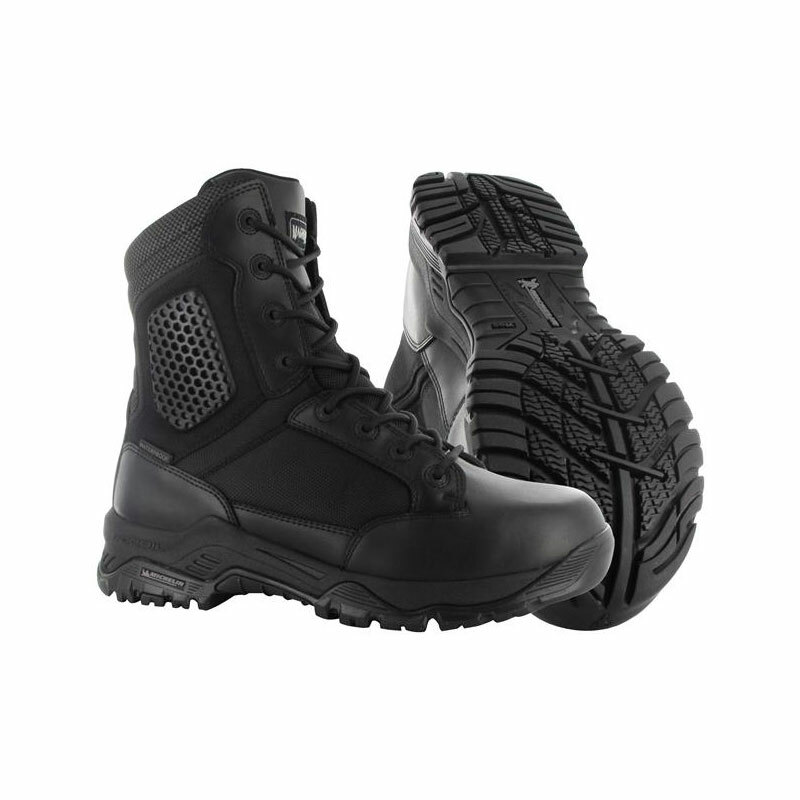 The Viper 5.0 Waterproof uniform boots are low cut uniform patrol boots for men and women. 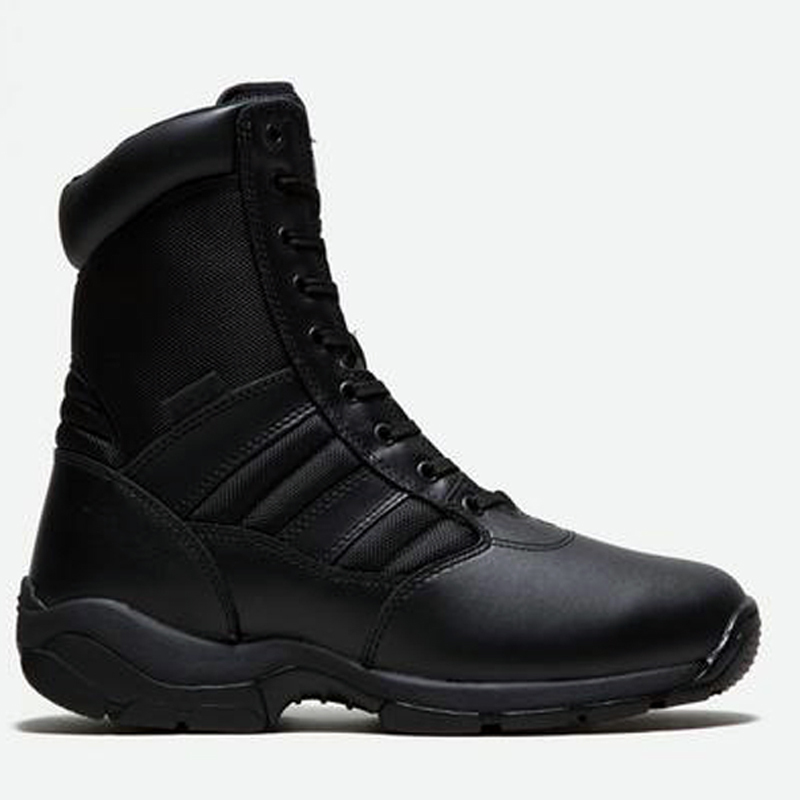 These waterproof patrol boots have a waterproof and breathable bootie membrane to keep feet dry. Also featuring a durable leather upper with hard wearing mesh panels and ankle pads for added protection. The fast wicking lining provides moisture management and comfort while the non-metallic composite hardware is scanner safe. 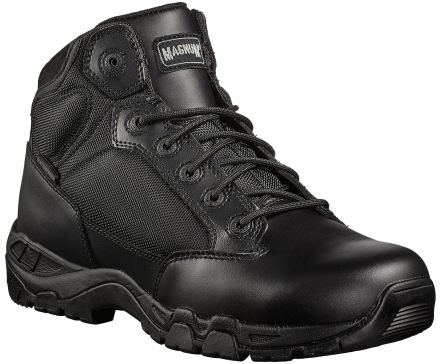 Maximum comfort is added to these waterproof uniform patrol boots with an EVA midsole and M-P.A.C.T Response shock absorbing insole providing underfoot cushioning. The slip and oil resistant high traction rubber outsole is designed for maximum grip. Tested and certified to European Standard EN ISO 20347:2012 OB E FO WR SRA. The Viper 5.0 men’s and women’s waterproof uniform patrol boots are an ideal choice for those who want durable, comfortable boots and prefer a lower cut.